I decided to take a break from it and blog cause my shoulder blades are killing me, must be the sitting position or the height of my table, or the way i click on the mice. Anyhow, i hope my in laws will like it. It's for them, and hopefully it will be ready by CNY! 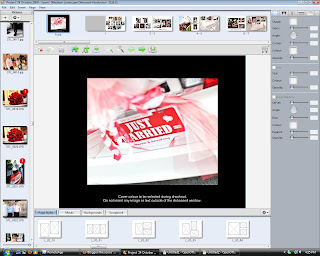 If we are gonna print all our wedding photos, it is gonna cost us more than RM1k!!!! it's 40cents per 4R. Anybody know where else i can print at a cheaper rate? 2009 was a great year for us! February, I was a bridesmaid for my cousin, it was my 3rd time as a bridesmaid! 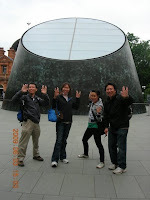 May, my first time to UK! 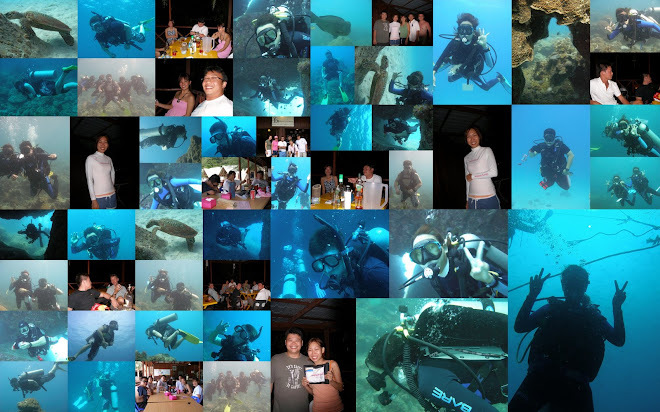 31st July - 3rd August, went diving in Tioman, Tekek with our best diving buddies! October, We bought our first fridge! 400l Panasonic RM1810. 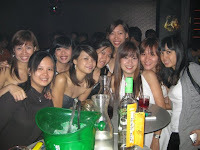 14th October, hen's night, Mambo Jumbo night! i told the gals i didn't wanna pray to the toilet bowl, but they have to relive my 'young days'! OMG. so not a pretty sight! 17th October, stag's night, the boys went to The Library, apparently it ended way too early! :P Boys don't take photos! so no pics!! 24th October, OUR Wedding day in Malaysia! November - December, I lepak with my husband at home :)) that's how I enjoyed my honeymoon. hehe. December 14, We became grandparents! 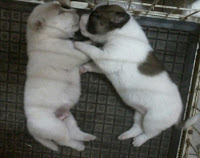 our dog Jenny gave birth to 3 little cute puppies! Time flies, we were JUST counting down to our wedding! and now we're officially a 'grown up' no more angpaos for us :( it's time for us to give back..
36 More days to Chinese New Year!! Hopes 2010 will be as F-A-B-U-L-O-U-S!!!!! !